2-Row Pale malt, White Wheat, Flaked Wheat, Malted Oats, and Rolled Oats with Citra®, Mosaic®, and Strata® hops. 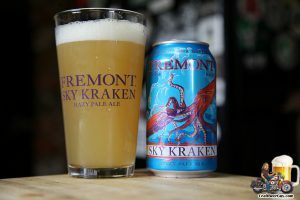 Fremont Brewing is a family-owned craft brewery founded in 2009 to brew artisan beers made with the best local ingredients we can find. Our beer is distributed in kegs, cans, and 22 oz. bottles and can be enjoyed every day at our kid- and dog-friendly Urban Beer Garden in Seattle’s Fremont neighborhood. Because Beer Matters! Cheers!